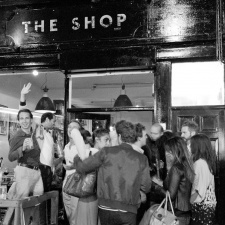 A celebration of fine drinks, great local atmosphere, music, art and all things ‘once loved’, The Shop in Kensal Rise aims to create a space that people feel part of, want to hang out in, get involved in and that is constantly evolving with them. The Shop invites local talent to showcase their wares, acting as their ‘shop-front’ to sell their creations or host evenings to talk about a preferred subject. With a love for the ‘reclaim and re-use’ philosophy, The Shop sources vintage milk bottles and jam jars for the drinks and encourages people to buy the furniture and artwork they see around them. Very different from the other Caprice Holdings restaurants but still brimming with character.